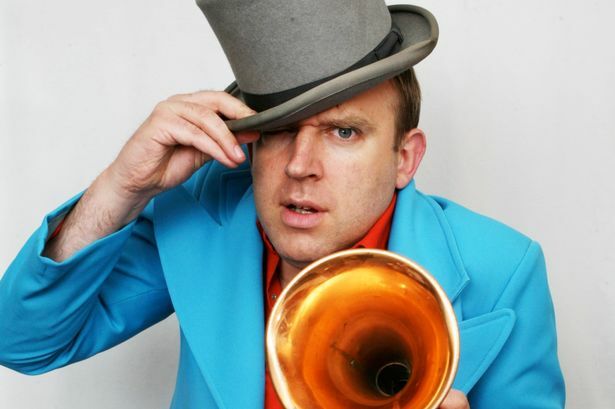 Comedian Tim Vine is not what you might call a gambling man. An annual flutter on the Grand National is as daring as it gets with a success rate of one win in the last 26 years. But he has started dabbling in the uncertain market of share dealing, with a pot of £2,500 to play with. It is all in the aid of charity. City Index invite a different celebrity every month to speculate on price levels across global markets for a cause of their choice. In Tim’s case, Cure Parkinson’s. Tim admits that he is novice in these matters, in spite of having worked at the stock exchange when he was 19. However, he was just making the tea rather than millions. “It does sound as though you are literally pointing at things hoping they are going to go up,” says Tim, who is being guided by an experienced trader. “I’m not worried because it is someone else’s money. In spite of the adrenaline-fuelled image of share trading, of men screaming Sell! Sell! into their mobiles, the reality seems to be entirely more restrained, which suits Tim’s rather relaxed nature. “I think the etiquette involves talking on a phone and saying ‘put this money there and I’ll talk to you tomorrow’. It doesn’t actually involve walking onto the floor looking like an ice-cream man, waving your arms in the air and making strange signals. The fact he became a master of puns and quick fire gags, earning him a place in the Guinness Book of Records for the most jokes told in an hour (499, in case you’re curious), was only because of his unwillingness to gamble on the audience response at the end of a rambling anecdote. Tim, 47, is the younger brother of broadcaster Jeremy Vine. Whereas Jeremy always seemed focused on a career in journalism, training at our sister paper the Coventry Evening Telegraph before joining the BBC, Tim struggled to find direction. He suspected he always wanted to entertain. At 12 he wanted to do puppet shows then aspired to be a pop star, even performing in bands with Jeremy. He has more respect for Jeremy’s abilities as an interviewer, dissecting the day’s news on his Radio 2 show. Tim tried stand-up for the first time when he was 24. He won the Perrier newcomer award at the Edinburgh Festival Fringe in 1995 and has returned there regularly. This year he is taking his new show Tim Timinee Tim Timinee Tim Tim To You before touring next year. “It’s going to feature one-liners, silly songs and being stupid. “I would like to sing a song called Subtraction...take it away,” he quips. There is a chance to see him perform a little closer to home when he is in next Thursday’s opening night gala at The Courtyard Theatre, Stratford-upon-Avon, as part of the town’s Comedy Hullabaloo festival, which is taking place over the bank holiday weekend. Tim has also been dabbling in acting. His role as Lee Mack’s best friend in Not Going Out exposed him to a wider audience. Though as it mostly involved the pair trading one-liners, it was hardly a stretch of Meryl Streep-ian proportions. This year he played it straighter as Beach the butler in the TV adaptation of PG Wodehouse’s Blandings. He would like to do more and even appear in a film. However, he has no desire to follow the example of Hugh Laurie – who also starred as Wodehousian creation, Bertie Wooster, in his early days as a comic actor – and try and make it in the States with a series like House. “I think I am slightly frightened of the prospect of that sort of success. Thankfully there is no danger of that happening. “I am just not that ambitious really. “I’d rather go and sit in my garden every now and again with a ham sandwich and watch the sprinkler,” he laughs. He is waiting to see if he will be called back to make another run of Blandings. I suggest that, with all his new found experience of butlering, he could try for a job below stairs at Downton. “That’s not a bad idea,” he agrees. “They had a Comic Relief send up of Downton Abbey and that was great fun to be in.